After Mel Gibson made “The Passion of the Christ” movie a few years ago, he lost many of his Jewish fans. After Mel Gibson made his anti-Semitic sentiments known by freaking out at a cop a few years ago, he lost the rest of his Jewish fans. So, this summer when his wife Oksana Grigorieva (who has a Jewish father according to some reports) made his sexist and racist rants public, most Jewish people had already come to the conclusion that Mel’s nuts. Even if he is anti-Semitic and might even share some of his father’s notorious Holocaust denial views, “Meshugana Mel” had become more of a punchline in the Jewish community than an ADL-level concern. Now, Mel seems to have divided Hollywood. Whoopi Goldberg recently defended Mel and tried to convince everyone that he’s not a racist. Zach Galifinakis, on the other hand, recently refused to work with Mel on the Hangover sequel, in which they wanted him to play a crazy cab driver. 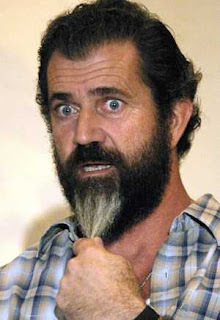 No word yet on what Mel Gibson’s father thinks of that! I wish I could be the writer of this wonderful blog but I could not as I’m just a newbie and hopefully oneday I could write something.